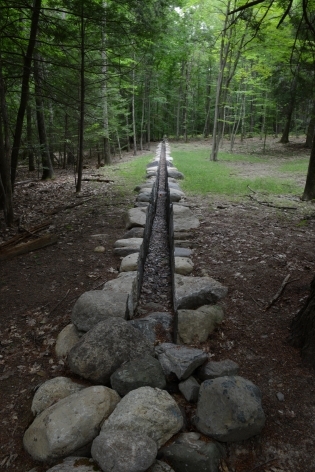 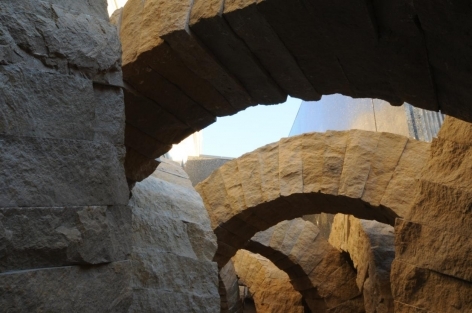 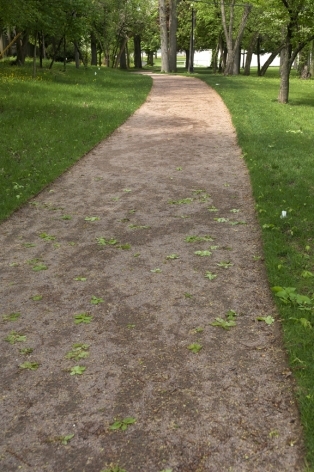 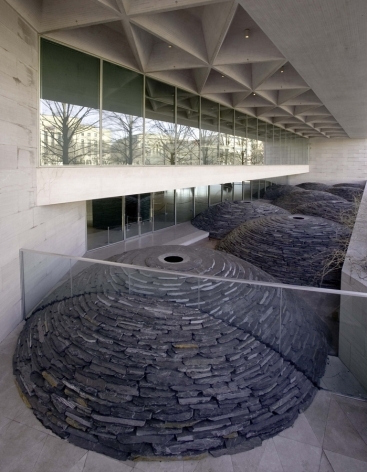 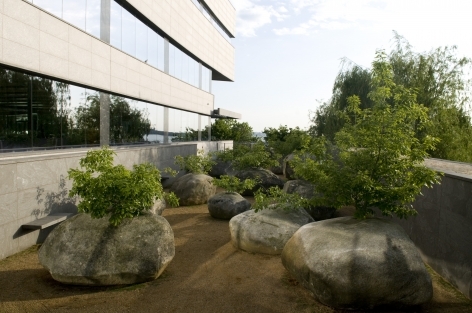 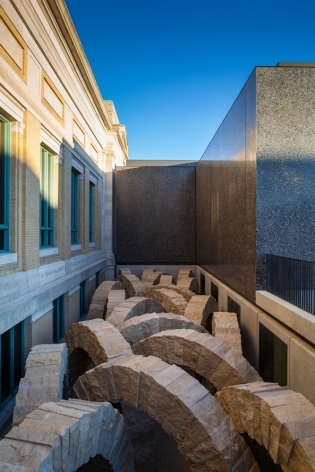 Recent permanent site-specific installations by Goldsworthy include Stone Sea, Saint Louis Art Museum, Missouri; Chaumont Cairn, Domaine de Chaumont-sur-Loire, France; Path and Rising Stone, Albright Knox Art Gallery, New York; and Wood Line, Presidio of San Francisco, California. 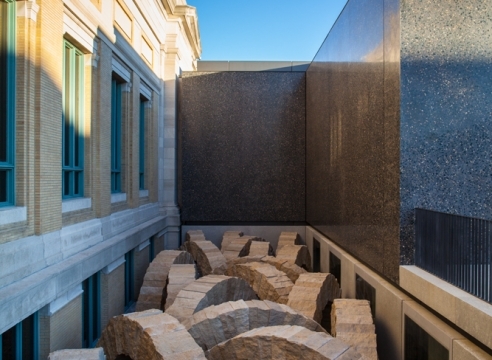 Other permanent works can be seen at the National Gallery of Art, Washington, D.C.; de Young Museum, California; Museum of Jewish Heritage, New York; Storm King Art Center, New York; Stanford University, California; and Haute Provence Geological Reserve in Digne-les-Bains, France, among numerous other sites. 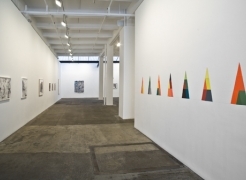 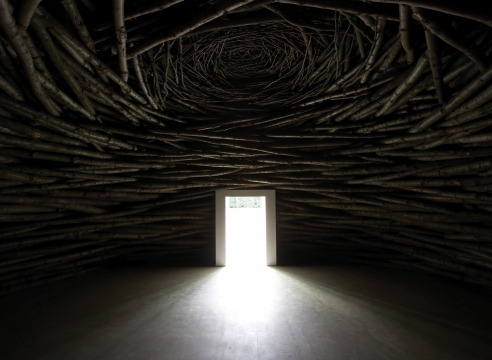 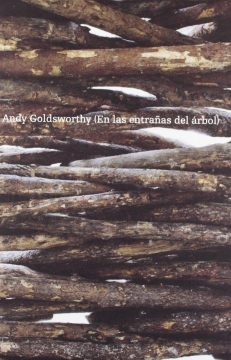 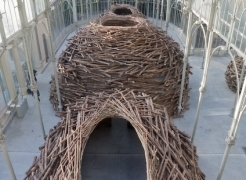 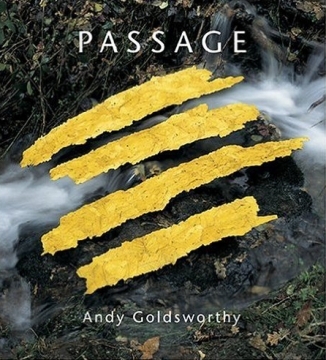 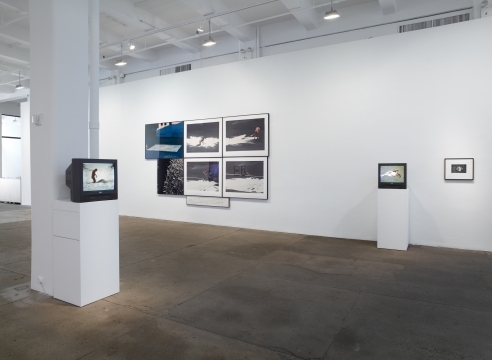 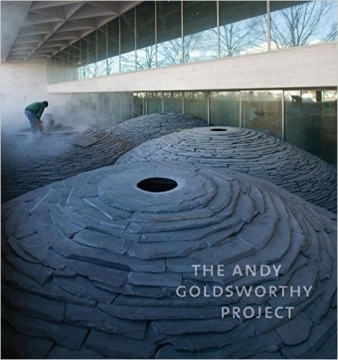 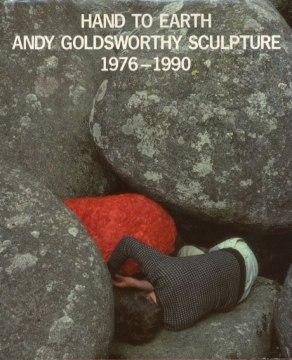 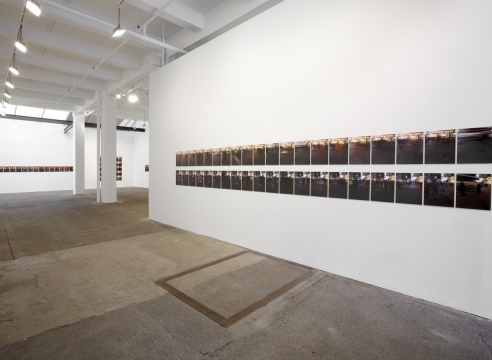 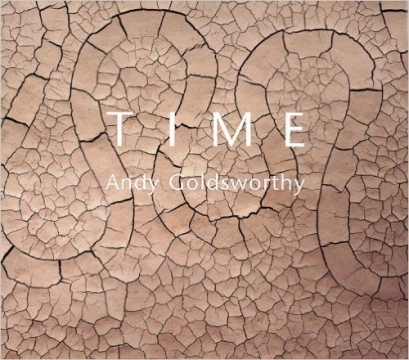 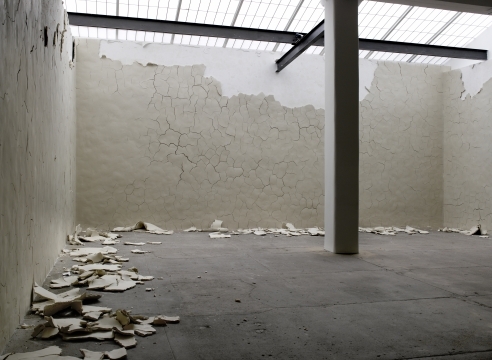 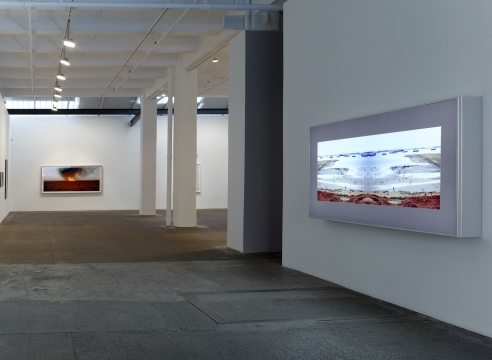 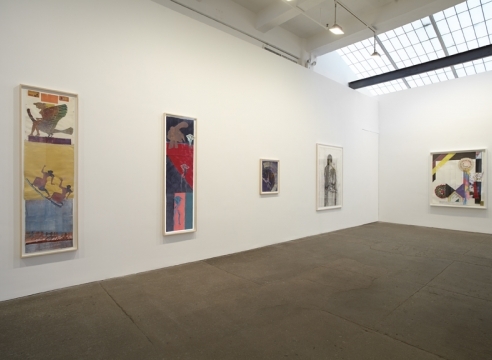 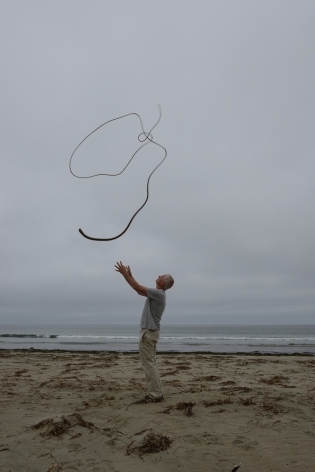 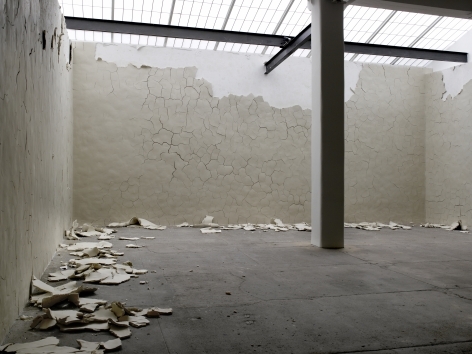 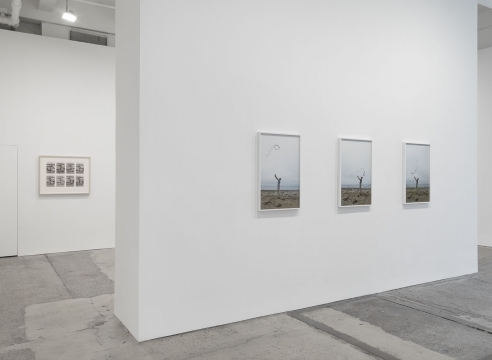 Major solo exhibitions of Goldsworthy's work have been presented by the Yorkshire Sculpture Park, England; Museo Nacional Centro de Arte Reina Sofía, Spain; Metropolitan Museum of Art, New York; Neuberger Museum of Art, New York; Museum of Contemporary Art San Diego, California; and Des Moines Art Center, Illinois. 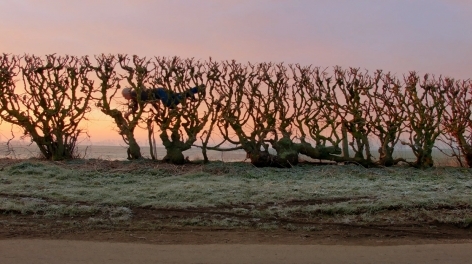 The artist was born in Cheshire, England, in 1956, and is now based in Scotland.